While its fearsome ancestor, the wolf, was created by natural selection-it is man that created the dog. 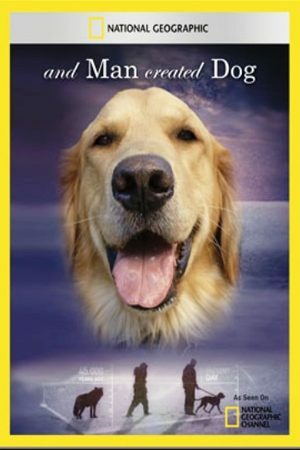 This film explores the greatest inter-species friendship on Earth over the course of 40,000 years. Working closely with scientists, we deconstruct the genetic history of your favorite companion and explore how man has consistently re-engineered the dog to adapt to a changing world. An amazing story of how we have taken qualities we cherish from the wolf-loyalty, territory, protection and family-and bred them into a sweet, compliant animal that we call the dog. Released in 2010. 90 min. Director: Pierre de Lespinois. TV documentary. This documentary film by Bill Mason is about wolves and the negative myths surrounding the animal. Released in 1971, Death of a Legend exhibits exceptional footage portraying the wolf’s life cycle and the social organization of the wolf pack. If it weren’t for a series of cataclysmic events, a comet impact being first on the list, our planet could well still be the domain of dinosaurs. Biologist Joe Hutto was mother to the strangest family in the world, thirteen endangered wild turkeys that he raised from egg to the day they left home. A Killer Whale Called Luna, alternatively titled “Saving Luna” and “The Whale,” is the emotional story of one young killer whale’s quest for companionship after he was separated from his family. Science writer Rita Carter tells the story of how modern neuroscience has revealed that reading, something most of us take for granted, unlocks remarkable powers.